Last week (in FSN7) something went wrong. I was in the Antarctic with very bad internet, and I couldn’t see the mistake. 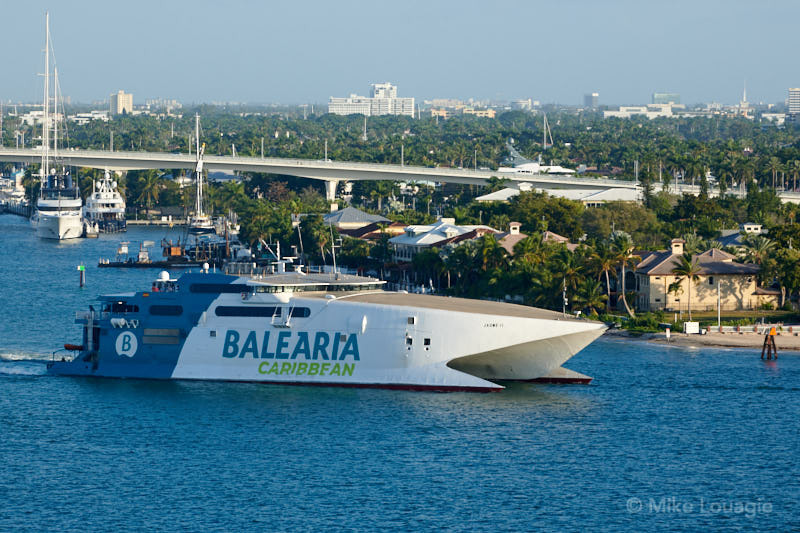 Some days ago (now almost three weeks ago), the Balearia Caribbean fast ferry JAUME II was spotted in Port Everglades. 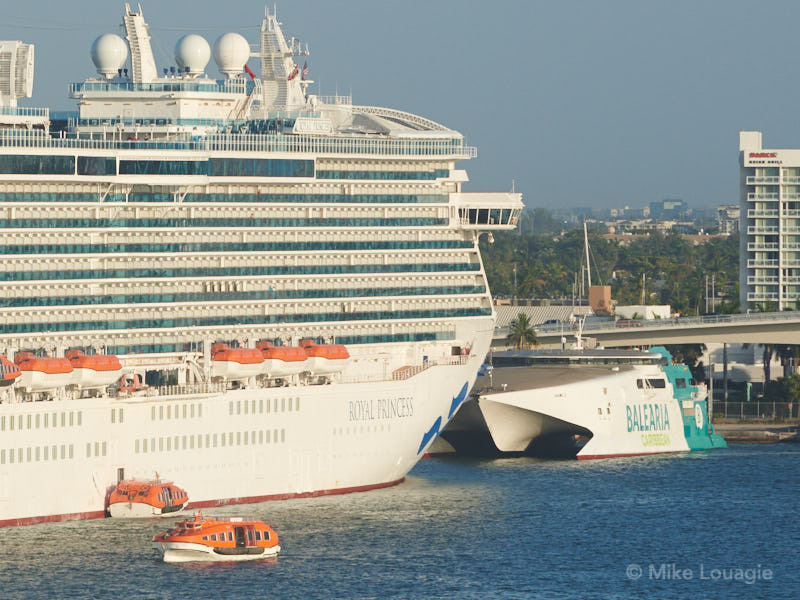 She offers a daily service between Fort Lauderdale and the Bahamas.